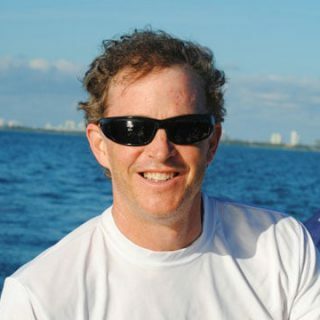 Cuyler was born and raised around Morris Yachts (founded by his parents in Southwest Harbor, Maine, in 1972). “Sailing is what I do, whether it’s participating in the America’s Cup, Olympic Star Sailing, Offshore and Inshore One Design Championships, or cruising the Caribbean with my family on a Morris. Today I spend my time cruising and racing with our customers and working on future designs and the overall strategy for the success of Morris Yachts in the 21st century.” Cuyler and his wife Cindy have four children; Sam, Sophia, Thomas, and Charlie.